Help Us, Help Others. 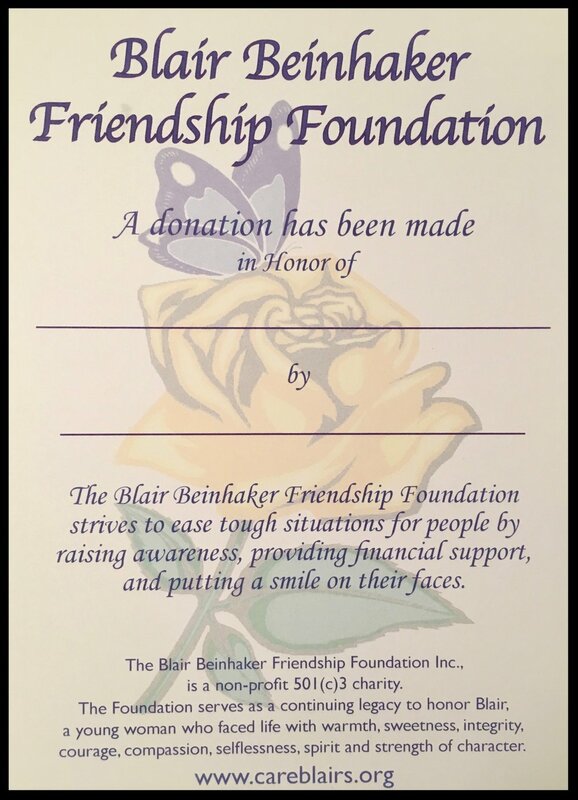 Help us fund a Care Blair, Contribute to our cause and to Blair's legacy. Give the gift of giving back. To purchase Tribute Cards, please fill out the form below and click the button above to send payment.